Hi, Eoin Walsh here. I hope to complete a number of fundraising activities in 2016 for two educational charities. One in Ireland and one in Ethiopia. I will complete the Dublin City Marathon and I'll share other activities on the way. My goal is to raise €5,000 for each Charity. Thanks a million for reading and please do read on for more information. If you want to get involved, please do. All activities, help and dontaions are very, very welcome. Planting the seeds of Democracy and Understanding can only be done through Learning and Education. Tógadh Scoil Sailearna sa mbliain 1854. Bhí sí 34 troighthe ar fhad agus 16 troighthe ar leithead. Dhá sheomra ranga a bhí inti. 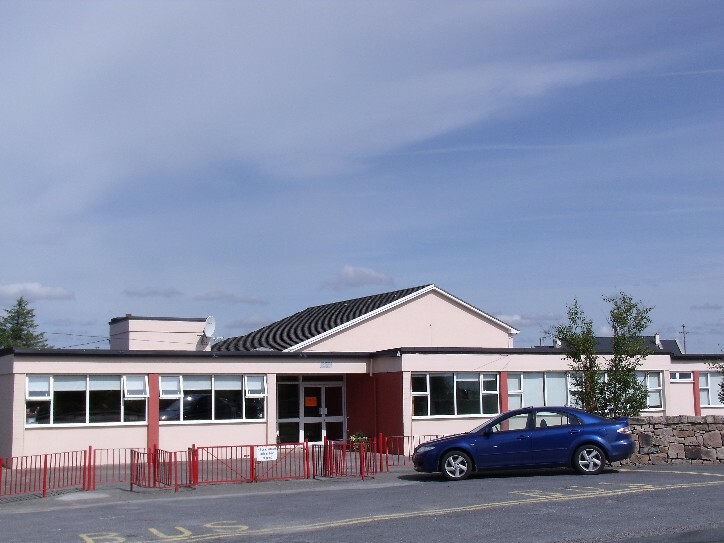 Bhí buachaillí agus cailíní an cheantair ag freastal ar an scoil. Bhí na hábhair á múineadh trí Bhéarla! Bhí Pádraig Ó Donnchadha mar phríomhoide go dtí 1869 nuair a ceapadh Tomás Mac an Ultaigh mar chomharba air. Bhí Cáit Ní Choisdealbha ina cúntóir agus sé an Canónach Ó Liatháin, a bhí mar shagart paróiste ag an am. Sa mbliain 1884 cuireadh dhá sheomra bhreise leis an scoil. Thóg sé seo ceithre bliana agus chosain an obair £459. Fuarathas £306 ó Rialtas Shasana ag an am. Bhí an sagart paróiste an tAthair Hosty mar bhainisteoir ar an scoil. Ba í Mary Donohue nó Máire Mhicil Hughie mar a thugtaí uirthi a ceapadh mar phríomhoide i scoil na gcailíní agus sí Miss Maxwell a bhí mar chúntóir aici. Blianta ina dhiaidh sin phós Mary Donohue an Máistir Ó Maicín a bhí mar phríomhoide ar scoil na mbuachaillí. Sa lá atá inniu atá tá rudaí athraithe go mór. Cés moite don Bhéarla múintear na hábhair ar fad trí Ghaeilge anois! Tógadh foirgneamh nua sna seachtóidí. Tá príomhoide riaracháin, seachtar múinteoirí ranga, beirt mhúinteoirí acmhainní, múinteoir páirt-aimseartha agus triúr cúntóirí riachtanaisí speisialta ar an bhfoireann theagaisc. Tá ocht seomra ranga, dhá oifig, seomra foirne, halla mór spóirt agus clós imeartha le pinniúir liathróide láimhe sa scoil. Tá forbairt mhór beartaithe le seomraí breise carr-chlós agus páirc imeartha ar chúl na scoile. Inscribed on a mud-hut school wall in Allemghane, Bale Region, Ethiopia 2004. De La Salle Brother Kevin McEvoy, Brother Thomas Walsh and Brother Mike Finnerty have encouraged many people to take up the challenge of travelling and working in underdeveloped Countries. 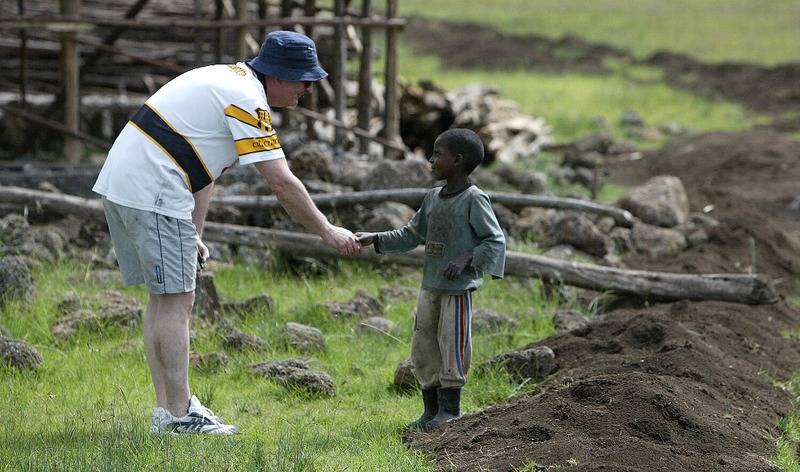 I am lucky enough to have met Brother Tom and become involved in the work of the Lasallian Developing World Projects. The concept of the ‘Africa Projects’ began back in the early eighties. Brother Kevin McEvoy leading the charge. Each year a different group of energetic and enthusiastic volunteers has come together to make a difference to a community of people for whom a little counts for a lot. Initially, Groups comprised mainly young people, however, over the years a cross selection of different age groups have worked well. To date groups have spent six weeks of their summer in Ethiopia, Kenya, Togo, Nigeria and India. The Projects mainly focus on Teaching. Numerous Teachers, and people from all areas of life, take their summer holidays and spend time helping schools in Ethiopia and North Kenya. The children we have worked with are never bored of listening. Their exposure to the English language is invaluable. Anyone who can hold a conversation is a valuable asset on the Projects. The schools we have been fortunate enough to work in and help build have all been funded by the Lasallian Developing World Projects. This small charity organisation is a recognised NGO and is completely managed and run by Volunteers. I have seen how the Brothers work, first hand. Dealings with local authorities, Tribal Leaders, government officials and local people is a sight to behold. No matter who meets them, no matter what their language they know they are engaged with people how have their best interest at heart. 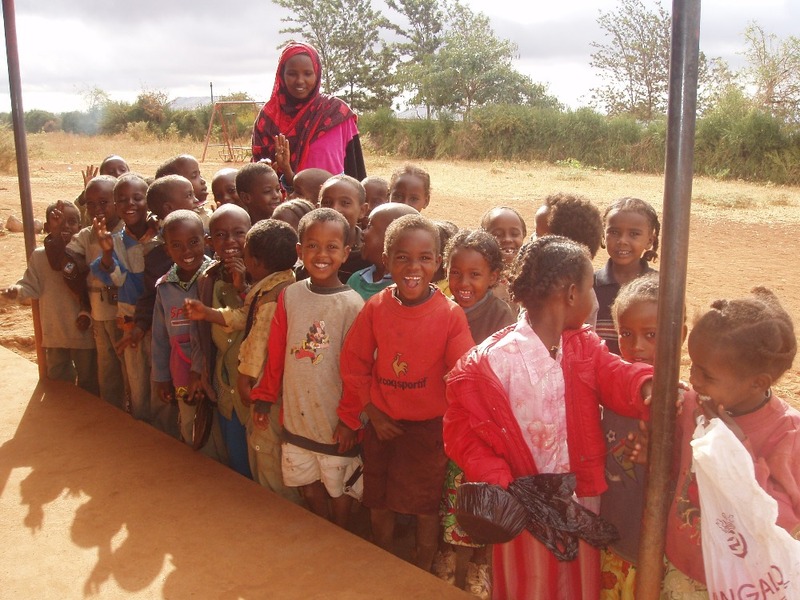 I worked on two school building sites in Ethiopia. One in Bucha, a very remote region and the second in Herero, close to the town of Adaba. Brother Tom worked along with the Volunteers. He rose at 6am and stopped once for lunch each day, returning to the Volunteers compound late in the afternoon. His drive on a building site is unreal. Always positive, always willing to give every ounce of energy. We worked through rain and sun and our only goal was to complete the school building. I worked with Kevin McEvoy in Kenya over two Projects. There are not enough hours in the day for Kevin. His school, in Dirib Gombo, Marsabit, is a model for any environment. The Brothers ensure that Local people and communities come together and form strong committees and alliances. In this way, any completed projects can continues long after the Brothers have left. The people must manage themselves, otherwise, the time, effort and money invested, is wasted. Many requests come to Tom from Tribal Leaders in the Bale Region of Ethiopia. One such request came from Allemghane. A village 30km from Robe. I travelled with Tom to survey the area for a possible School Building Project the following year. Tom was visibly taken back from what we met, as we all were. The Allemghane School comprised a number of Mud Huts and loosely corrugated shacks. This was all the local community could put together; it was enough to prove they dearly wanted an education for their children. The Mud Huts were classes up to 150 children per room. In the winter it was freezing and God knows how warm the Huts would become in the Sun. Planks were saddled across pieces of wood for benches with nowhere to rest a pen or paper. The Blackboards were falling off the walls. 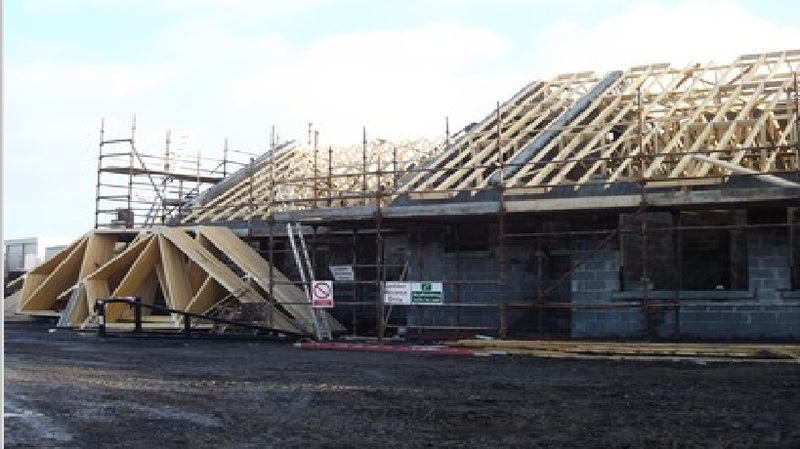 In 2005 Tom started the Allemhgane School Building Project, funded by the Irish Government and private donations from Volunteers, their friends and family. One structure of 8 classrooms is fully complete. The work completed is dramatic. Desks, books and blackboards all supplied under the Projects umbrella. While the Brothers ensure the Building Projects continue, they always have Teaching programmes running in conjunction. For 4 – 5 weeks Volunteers take classes. Local Teachers also sit in. The older students get involved in conversations ranging from HIV/AIDS to Economics and World Political matters. It is an open book on Education. Proof that Education is priceless. 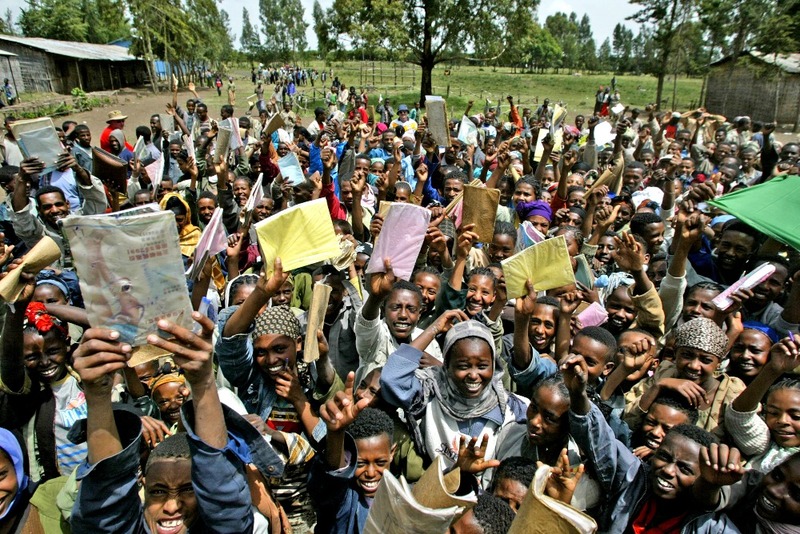 Providing Teachers and Building Schools is the main stay of our work in Africa. 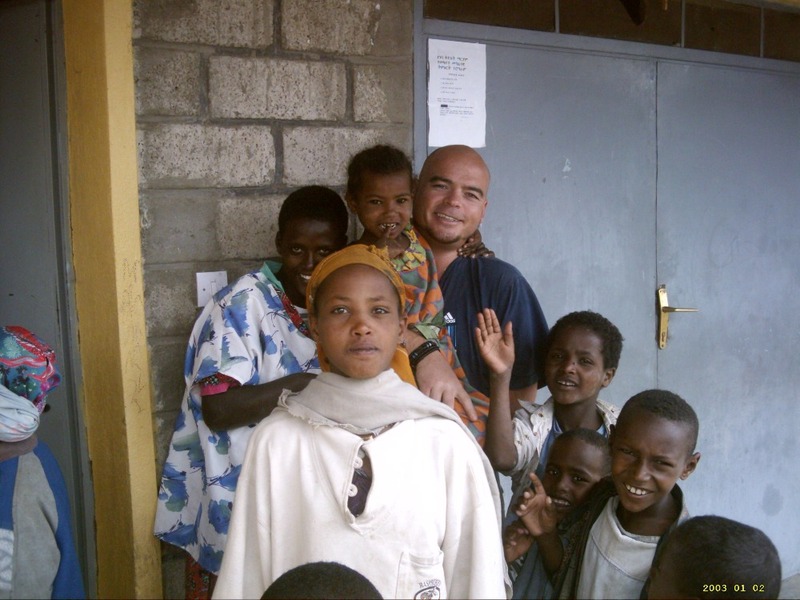 Nursing and Teaching in Orphanages is also a primary feature of the Tom’s work in Africa. 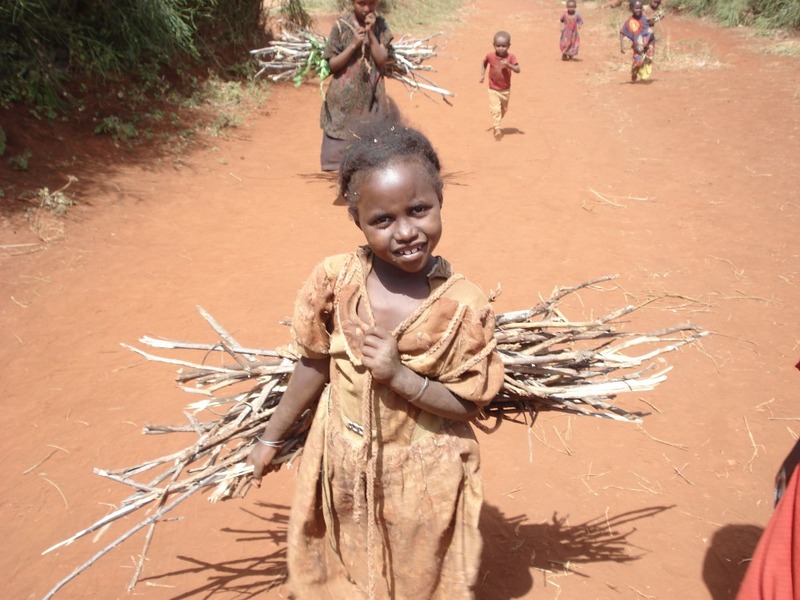 The Orphanage in Goba, Bale Region, Ethiopia is an example. The structures and classrooms were all built via the Lasallian Developing World Projects. The Orphanages also receive teaching through the Projects. Aside from Teaching the Groups deliver much needed medication, educational books, first aid, HIV test kits and crutches. Getting people off the ground and on their feet was a feature in 2005 / 2006. We delivered over 600 sets of crutches to Orphanages from Addis to Robe in Ethiopia. The work carried out by the Brothers and a small group of Volunteers is unreal and all in spare-time. Selecting the Teams for Africa, arranging Transport, Security, Accommodation and all the other aspects of taking groups to Africa. But the Lasallian Developing World Projects manage and, thank God, everything has gone well. Thanks to those all who continue to give individual support encouragement and goodwill. 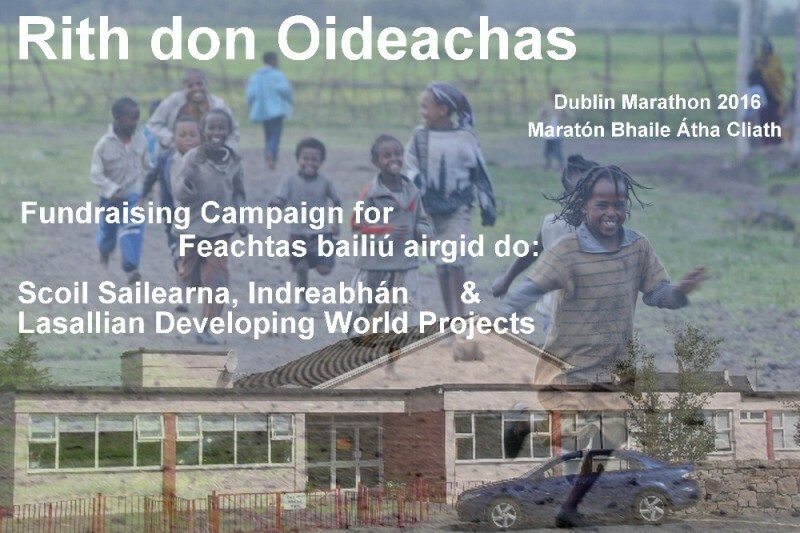 Lasallian Developing World Projects is a small charitable organisation situated in the De La Salle College, Newtown, Waterford. The Charity is co-ordinated by Brother Thomas Walsh and Brothe Mike Finnerty. As a small NGO, the overheads are minimal and all donations are directly pushed to where people are most needy. We concentrate all our efforts and resources on small regional areas to gain the optimum impact and a lasting positive impression. We push to make a difference to a community of people for whom a little counts for a lot. If you are willing, have an open mind and sense of adventure do not hesitate to contact us and get involved. The experience will be humbling and fulfilling. I remain humbled and honoured to be a part of the Projects. 2 Days to go to the final Fundraiser.................... Please contact me if you have any Spot Prizes for our Raffle. Tickets already being sold today. Names being put on the back of tickets if you cannot make the Concert on Saturday. Line of Tickets are: €2 per Line and €5 for Three Lines. 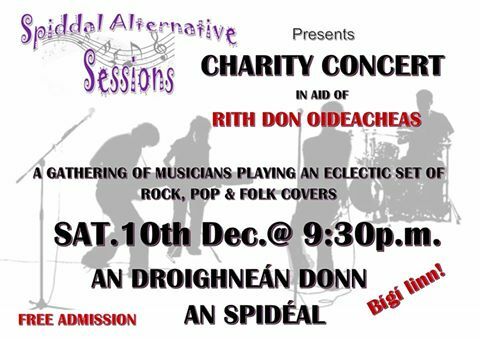 Rith don Oideachas, charity gig in An Droighnean Donn, An Spidéal, Conamara. The wailing in the vehicle was deafening but concentrating on keeping the jeep on the dirt track made the screams seem distant. The jeep needed to be kept moving at speed to push through the sand and get her to the shack hospital in Marsabit. Twenty minutes earlier two Lasallian Volunteers arrived to check on their teachers in the rural primary school of Dirib Gombo, Marsabit, North Kenya. Each morning the jeep run was made to check the Volunteers safety in the local medical dispensary, Hekima and Dirib Gombo primary schools. School starts 6am to finish early and let the children home before the heat of mid-day. A local male teacher came running towards the jeep as they approach the hedge school. In obvious distress he tried to convey the serious nature of what was happening in one of the teacher’s homes, a small mud hut close by. The Volunteers ran with him and entered the hut to find a woman lying rigid, bloated and semi conscious on the floor. Two women knelt beside her, rocking back and forward and crying uncontrollably. Marsabit was over an hour drive off, across a rough terrain, and should only be driven in convoy. The Volunteers had to move, they did not have the capacity to deal with her needs in the local dispensary. They carried the woman to the vehicle. She was one of the local teachers, her body was so bloated and her limbs seemed locked. She was unrecognisable. One of the Volunteers, a Canadian basketball player, was a very fit strong man, but even this group found it difficult to lift the teacher. She was dead weight. The only way to fit the teacher into the can was raised high across the top of the seats and close to the ceiling of the jeep. Her legs came across the shoulders of the volunteers in the front as they started to drive for Marsabit. It would be much later that the bruising of the journey would be felt by the driver, the LDWP project leader. The Canadian volunteer constantly tried to calm the occupants as the vehicle bounced towards Marsabit and also tried to take the patients vitals. The jeep seemed packed. The male teacher, two local women, the patient and the two volunteers were consumed by their task. The women screamed and wailed in disbelief. The track from Dirib to Marsabit is stunningly beautiful but the beauty belies the danger of the terrain, the crazy possibility of hitting an Elephant and the ever present instability that come with tribal unrest and bandits. The jeep ploughed on, and on, and those inside could not have imagined the journey took just over an hour. Marsabit regional hospital is not what we could imagine in Ireland. A collection of buildings, shacks, mud huts and corrugated boxes deliver medical care to the top third section of Kenya. The lost area of Kenya, above Archers post, beyond Isiolo up to the Ethiopian border and flanked by Somalia to the East and Sudan (Lake Turkana) to the west. A massive area left by the government to basically fend for itself. The hospital director, Mohamed, knew the Lasallian volunteers were in the area and would always look out for their needs. His hospital gained from the generosity of Irish volunteers and Lasallian Brothers, for many years. The jeep pulled close to the emergency entrance, a large open area screened by a mixture of plastic and textile drapes. Mohamed was there, the male teacher screamed for help. The volunteers removed the patient from the vehicle and more people helped, more nurses came. The group faded and the volunteers knelt down to ponder what had just happened. No words. Mohamed thanked them soon after and did not hold out much hope for the patient. The volunteers needed to return to Dirib Gombo and the Lasallian compound. The passengers remained. It may seem strange but there was not update on the teacher. She came to mind daily but other distractions and difficulties focused the mind of the volunteer group and their project leader. Each day brought challenges. Each hour brought humility to the people lucky to be exposed to the most humble people imaginable…. 14 months passed. The Project Leader returned to Dirib Gombo and Hekima with a new group of volunteers. On visiting the market fuel depot to fill primary and reserve tanks, on a number of vehicles, the project leader was met by a small crowd. This was normal. Money was changing hands, something of interest was happening. Bargaining, bartering and the inquisitive nature of the locals. With money and fuel we need security and Harish Mohan provided that. He managed security with just a look. Some of his workers also provided protection. Harish is a wonderful human being. Tough, direct and strong, he is a local with ties to India. Not a Christian but he sees far beyond some of the restrictions, sometimes, imposed by religion. Harish was distracted. He knew her. Harish approached the project lead, in the middle of payment and interrupted, without an apology, unlike him. He softly ushered the project lead towards the edge of the small crowd. A beautiful local tribal woman stood out from the edge of the crowd and was being minded by Harishs men. It was a little surreal. These men do not walk softly. The woman was not wearing local tribal dress but clothing more suited to a Sister or a Nun. She was beautiful. She walked closer to Harish and the project lead. Harish stood behind her. She placed her hands on his cheeks and stretched to kiss the forehead of the project lead, she was smiling and crying. With no real understanding what was happening the project lead just stood as the woman slipped a long garment from across her shoulders to reveal a tiny wee baby. This is how she carries the baby, wrapped in her garments. She spoke. Possibly ‘Boran’ or ‘Rendille’ and Harish already knew. She was so small. It could not be her, the teacher. But it was, it is. She was not the person we took to Marsibit hospital. She was well, she was healthy and she had a beautiful baby. She explained so much so quickly. The baby, she named, Kipara. Swahili for ‘the one with no hair’ (bald). She named the baby after the project leader. ……………………………. It was her. She is alive. She is a daughter, a sister, a teacher and now a Mother. ‘Planting the seeds of Democracy and Understanding can only be done through Learning and Education’; Eoin Walsh. Good luck Eoin and well done on running the marathon. Well done chief, proud of you!